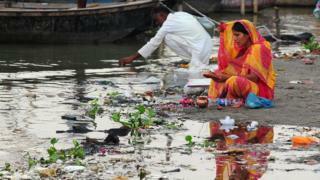 A court in northern Indian has given the Ganges and Yamuna rivers the status of "living human entities". The high court in the Himalayan state of Uttarakhand said this would help in the "preservation and conservation" of the highly polluted rivers. It added that the "legal status" ensures that polluting the rivers would now amount to harming a human being. The court said in its ruling that Hindus had "deep faith" in the two rivers and they "collectively connect with them". "The rivers are central to the existence of half of the Indian population and their health and well being. They have provided both physical and spiritual sustenance to all of us from time immemorial," it added. Two top state officials have been appointed as the "legal guardians" of the rivers and will represent their rights.